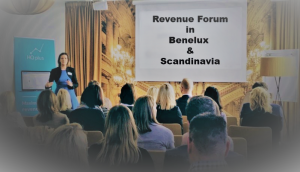 Revenue Forum is a recurring event originally founded by Annemarie Gubanski in Stockholm 2008. The aim with Revenue Forum is to create an inspiring meeting space for those interested in Revenue Management and Distribution within the hotel industry. We have now finished Revenue Forum in Benelux and Scandinavia and thank all participants and speakers!